By Day 5 we had found our legs and become used to the altitude. The fantastic conditions of the day before had put a bit of a spring in my step, which was just as well given the substantial distance we had to cover! By morning the inversion had lowered. Thankfully the wind had also dropped a little, a nice respite from the days before. The route I had planned differed greatly from the route Jeffrey took us on. 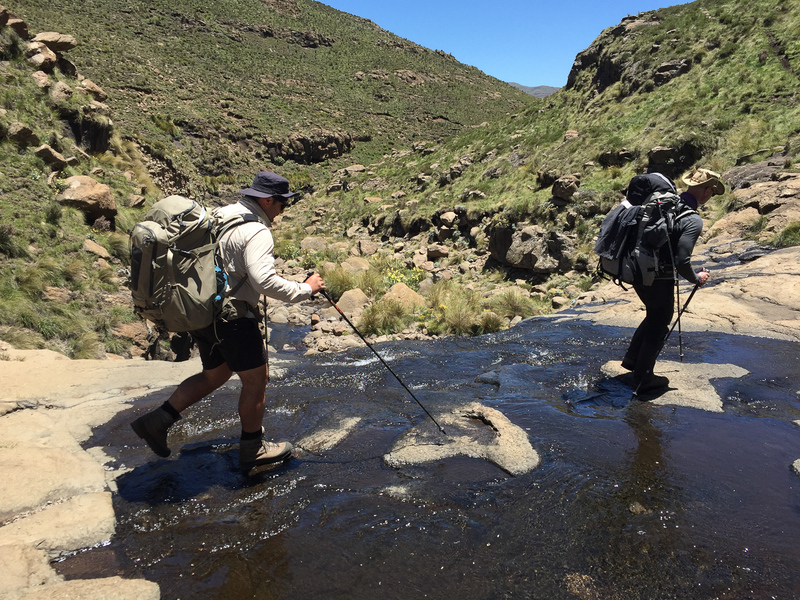 We were soon descending into a deep valley passing beautiful deep pools – this is where having a guide becomes hugely beneficial. The swimming was fantastic. We repeatedly crossed the river as we wound our way down the valley. 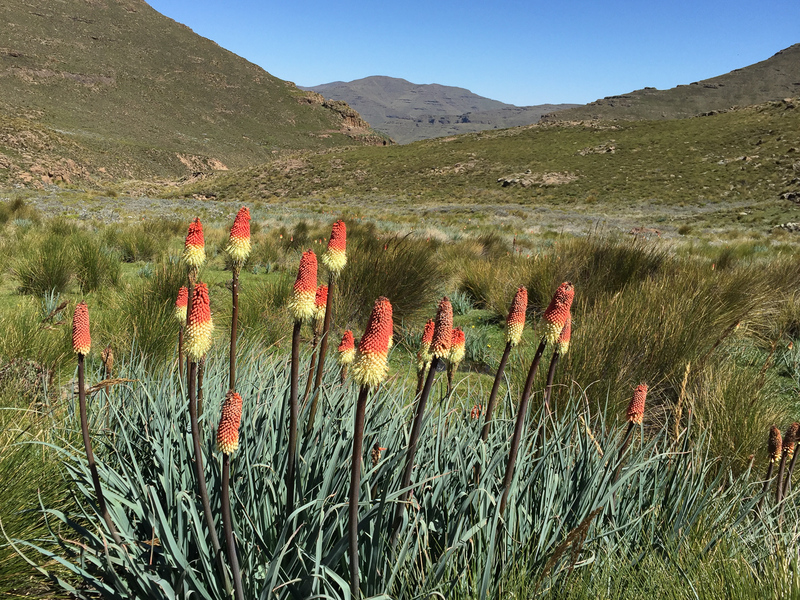 Red Hot Pokers were a regular site in boggy areas. A Krall of one of the Basuthos – the dogs at the back seemed very aggressive as we approached but fortunately they were chained. A lunch stop as we started to gain height again. 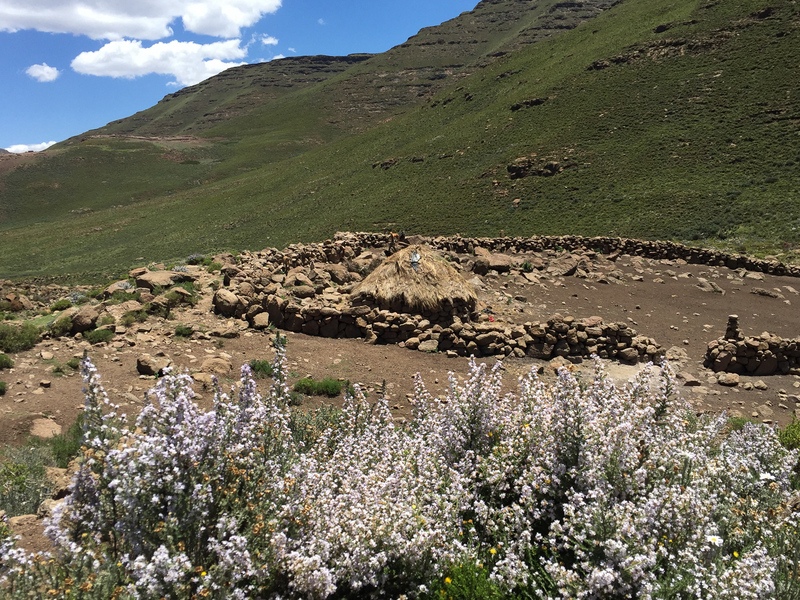 We finally emerged at the escarpment edge on the flanks of the Ndemeni Dome. The towers below are the Organ Pipes. 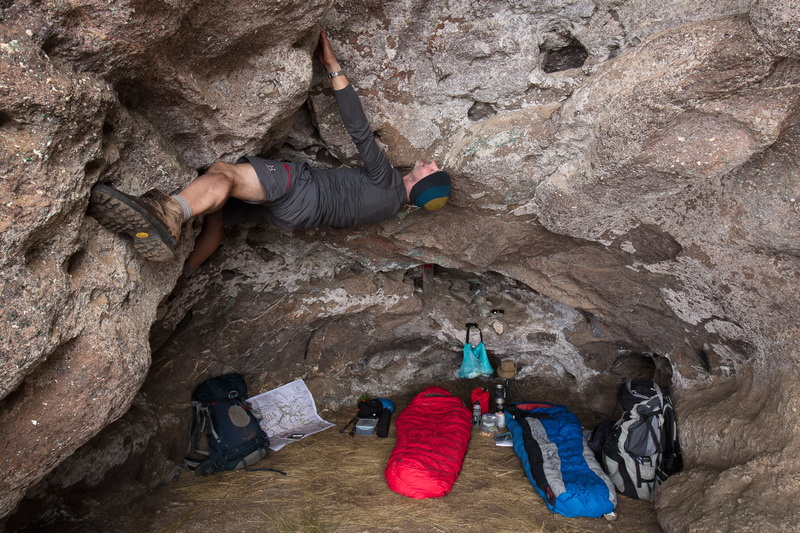 Steve and I continued on to Rolands Cave, but finding it occupied we camped in the valley west of Organ Pipes Pass. 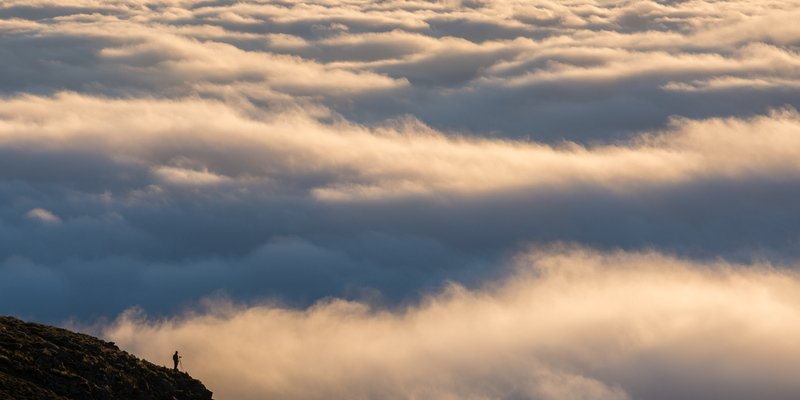 Half an hour earlier the pass was completely clear but as sunset approached the clouds filled in. The Organ Pipes are on the right. 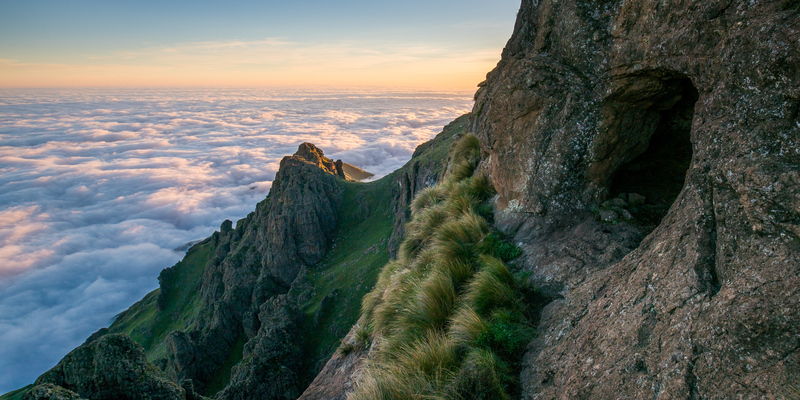 This view marks the start of Organ Pipes Pass. With Cleft Peak to climb that day and tired legs from the day before we had a lazy morning. Jeffrey had to leave us at this point. Due to a communication problem he had initially only brought 4 days of food with him leaving the group to make up the shortfall. But with relatively little extra food to offer he now had to head down. The route up Cleft Peak from the south is a slow steep climb and, still tired from the day before, we made slow progress. Steve had to wait for a lull in the wind to get this shot. 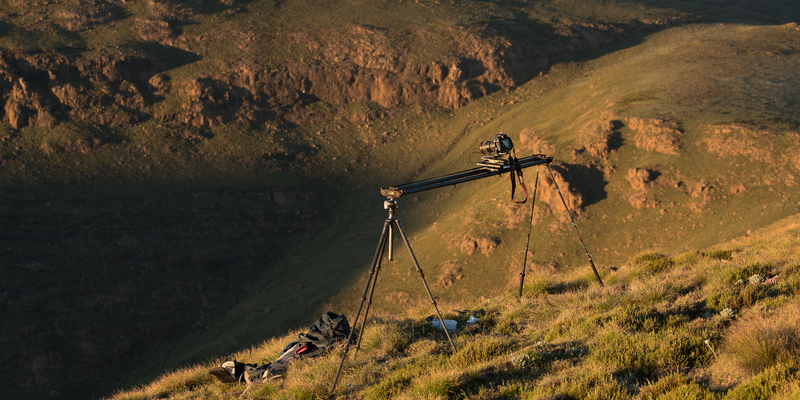 From time to time 50mph gusts would blow in from Lesotho threating to blow us off the edge – needless to say we were very careful! 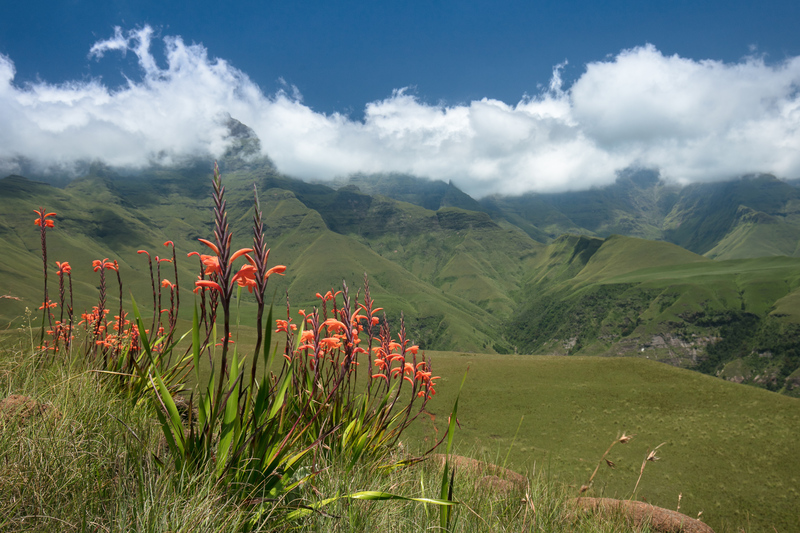 I have seen many spectacular sights in the Drakensberg, so it is hard to pick favourites, but this certainly ranks among them. In the centre is Pyramid and Column and at the back the Cathedral Ridge. This is actually taken from 100m or so below the summit of Cleft Peak but it gives a much better overlook than the summit itself. 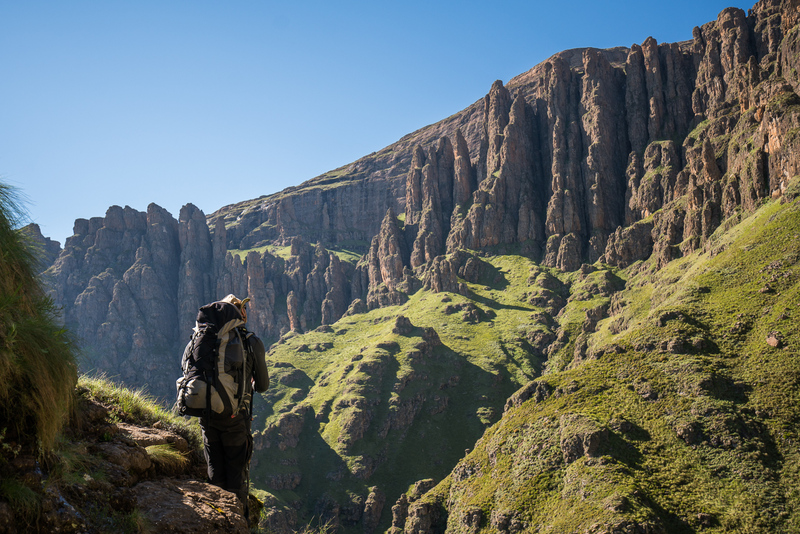 Whilst we had initially planned to hike the short distance over to Pyramid and Column to camp, Hougaard suggested we change plans to camp just below Cleft Peak. 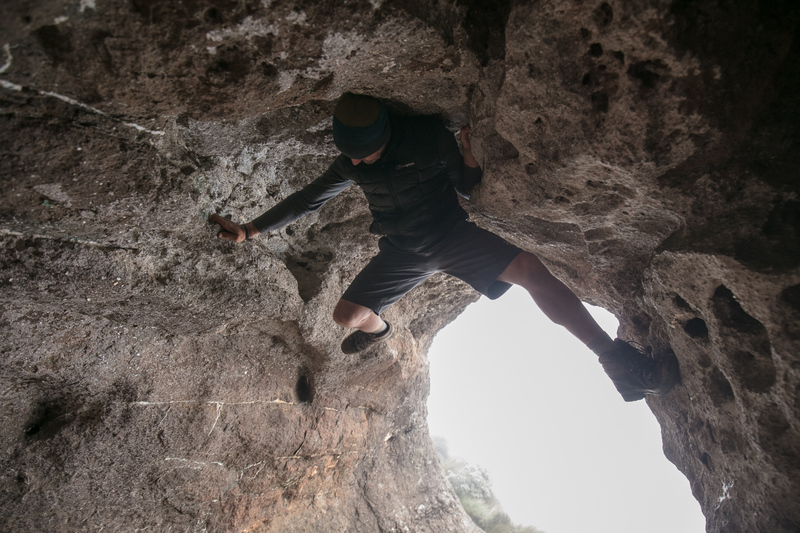 Having found Rolands Cave occupied the day before I was keen to return with Steve – it didn’t make sense to hike further to a place that I had already photographed on a previous trip. 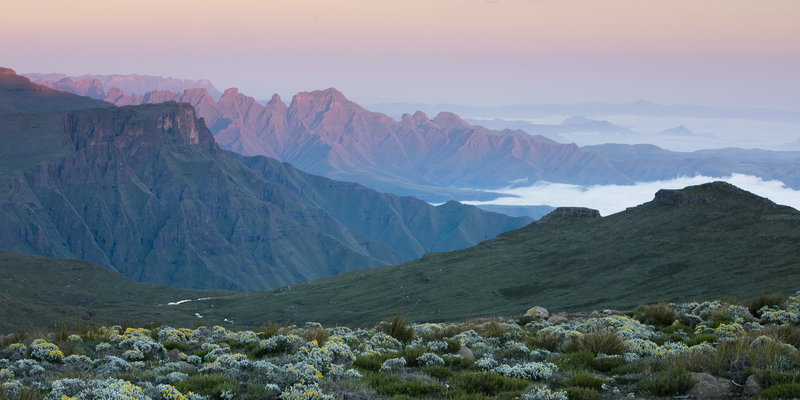 Instead we hoped that sunset, or sunrise the following morning, would provide spectacular conditions from Cleft Peak. 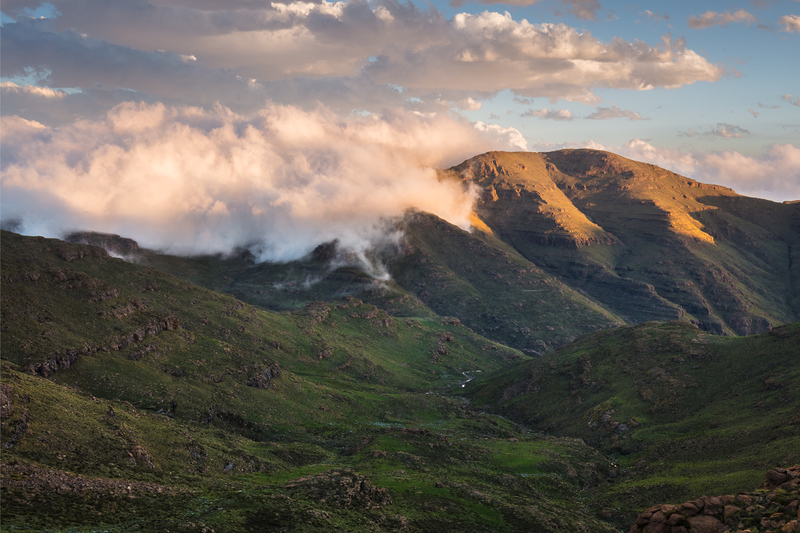 Last light on the hills of Lesotho. Sadly Cleft Peak was clouded out for sunset but we could see from our vantage point that camping at Pyramid and column would have been equally pointless! 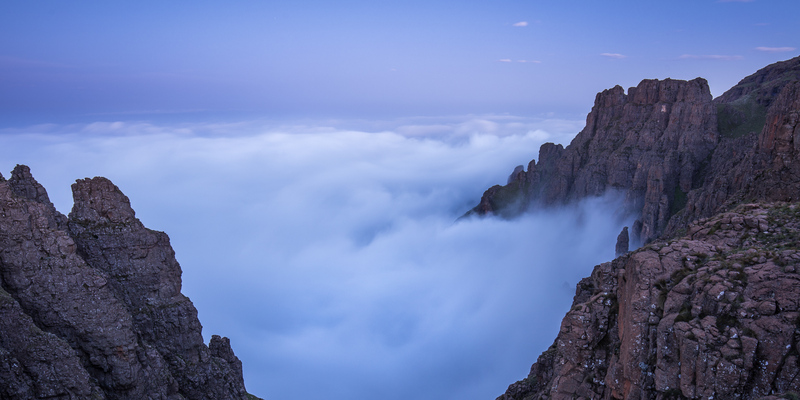 The morning brought with it the highest inversion I have seen in the Berg and I made quick time up Cleft Peak to catch the earliest of the light. Cathedral Ridge and all the surrounding notable portions of the escarpment were submerged but it was nevertheless a productive morning. 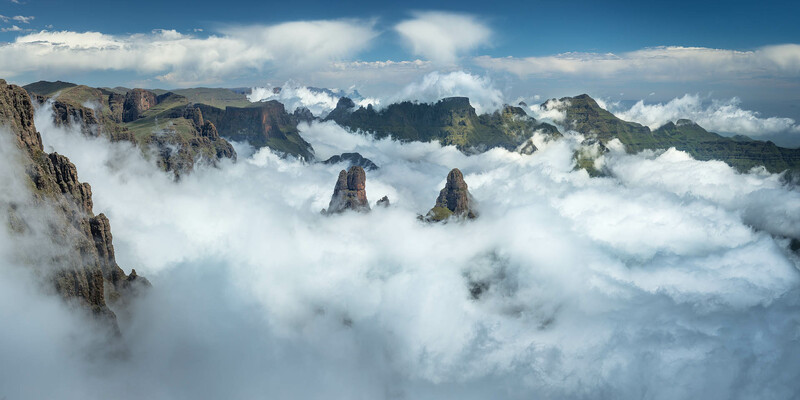 An early morning inversion encircles the flanks of the Ndemeni Dome. As seen from Cleft Peak. 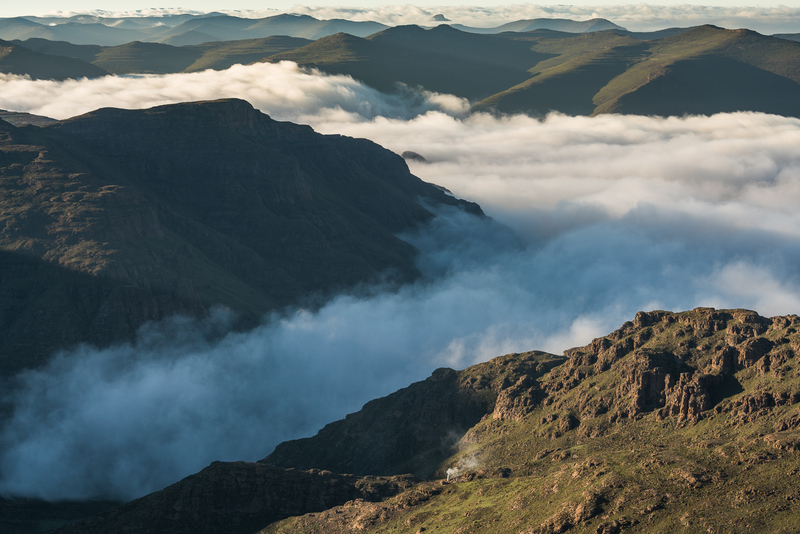 This is the first time I have seen an inversion get over the escarpment (which is making the edge of the wave on the left) and into the hills of Lesotho. 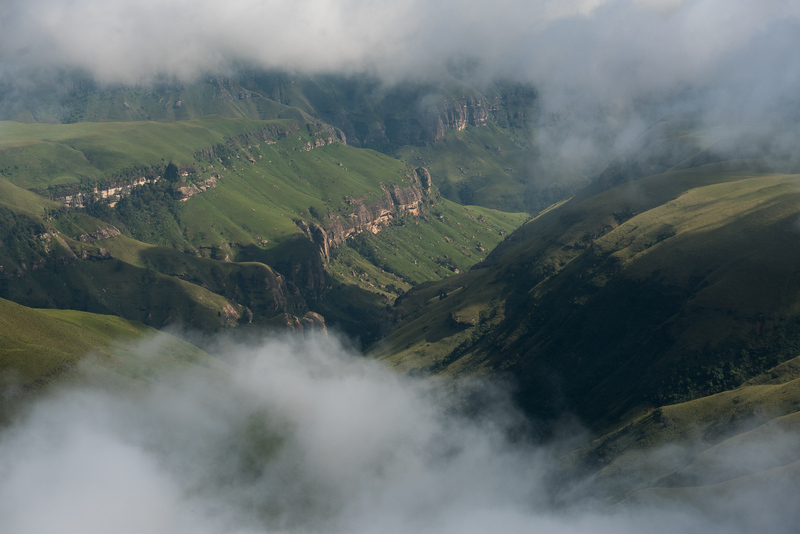 I’ve have long wanted to capture an image of the hills of Lesotho that I could be proud of. With this image I think I have achieved my goal. A Krall at the bottom of the image gives you an idea of the scale of the landscape that the Basuthos inhabit. I brought my timelapse rig along for the trip and I tried to make up for lost time on this, and subsequent mornings. The winds of the days before had severely hampered my ability to use the rail – incredibly frustrating given that I had carried it all that way! 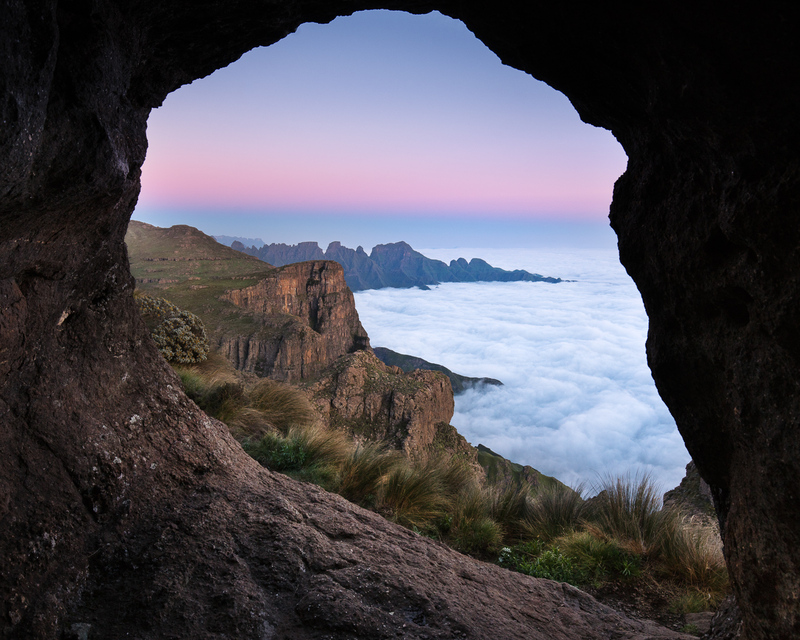 Steve and I were keen to return to Roland’s Cave to spend the night whilst Hougaard and Milly planned to head down Organ Pipes Pass to get most of the way back to the hotel. Our walk to the head of the pass was in mist throughout. We said a quick goodbye (we would be seeing them the following day) and made the final climb up to Rolands Cave which is not easy to find unless you have been there before! The final approach to the cave is pretty sketchy and takes some courage on the first attempt. Leaning against the cliff wall certainly helps, as does reminding yourself that the footing is actually very good. After walking the route a few times you become worryingly confident! Finding Rolands Cave in the mist we had an entire afternoon and evening of waiting for things to change which they never did. Steve amused himself by climbing around the cave. Roland’s offers good shelter if you are brave enough to visit. 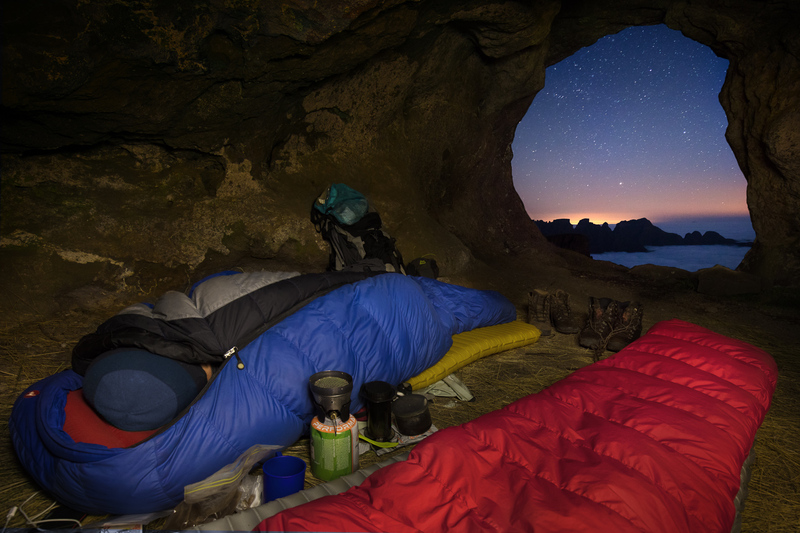 I was up at 2am whilst Steve slept to capture this interior view of the cave. It took a lot of messing around in the dark to get the camera in position (the back of the cave is quite confined) but the image gives an accurate impression of the experience. Predawn brought a lovely Earth Shadow and the most perfect inversion of the trip. The gradient is quite useful from a compositional perspective to break up a fairly large swathe of sky. All too soon it was time to leave the escarpment. Steve and I took Camel Pass, which we had heard was quite dangerous but for any experienced hiker the route is a complete joy. It may well be the best route I have ever walked (although Langisjor in Iceland is a close contender). The exposure makes Camel Pass a lot of fun. It’s also much shorter than Organ Pipes pass which I did on a previous trip and frankly found to be pretty similar! On last view up at the ridge from Tarn Hill before we reached our goal. 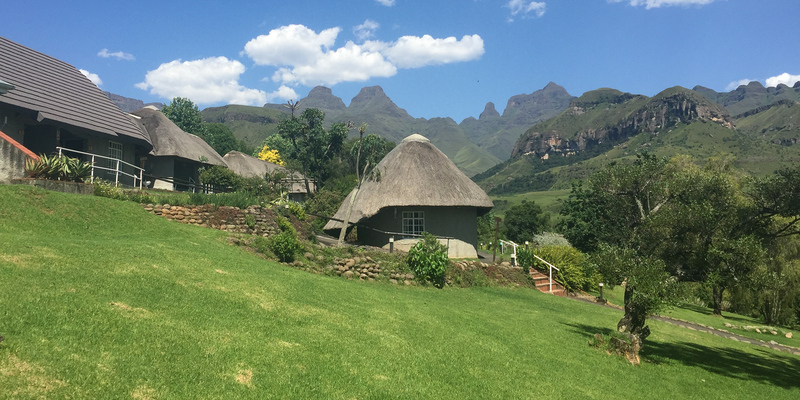 Cathedral Peak Hotel, the home of soft beds, showers, proper food and beer. A great place to finish the trip! 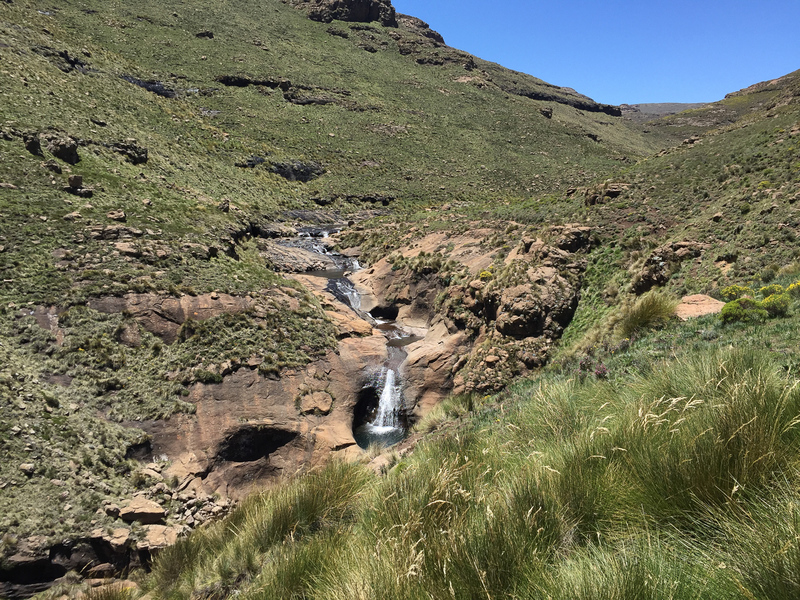 Written by alexnail, posted on 11th January 2017 at 10:09 am, in Trip Reports and tagged backpacking, camping, Drakensberg, hiking. Permalink. RSS feed for this post. Fantastic experience & amazing photography. Thank you for sharing! Sounds like a fantastic and exciting trip ! These pictures are very inspiring Alex !! Without wanting to take the mikey…..A 70L rucksack! 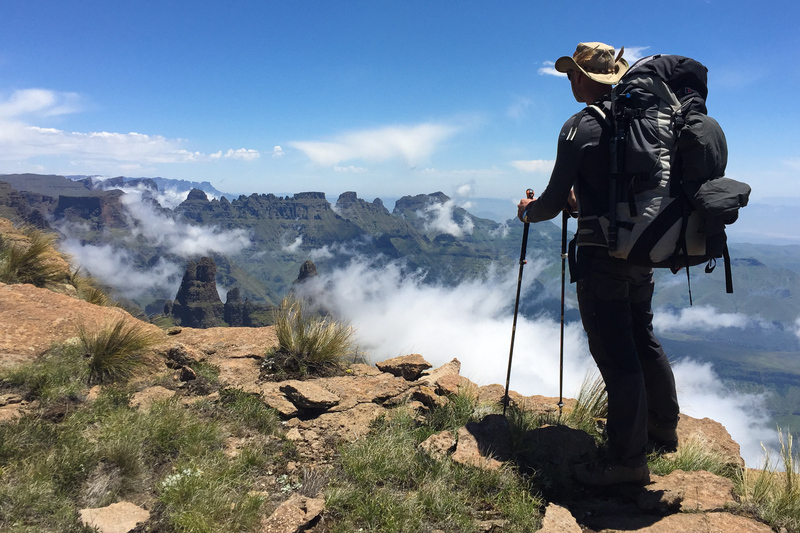 The kit most people take on DofE is good value, but a bit bulky. Unfortunately solving that problem isnt cheap!